Purported images of the 2013 edition of the Air Jordan 8 retro surfaced earlier this year, which created speculations that it will hit the market soon. 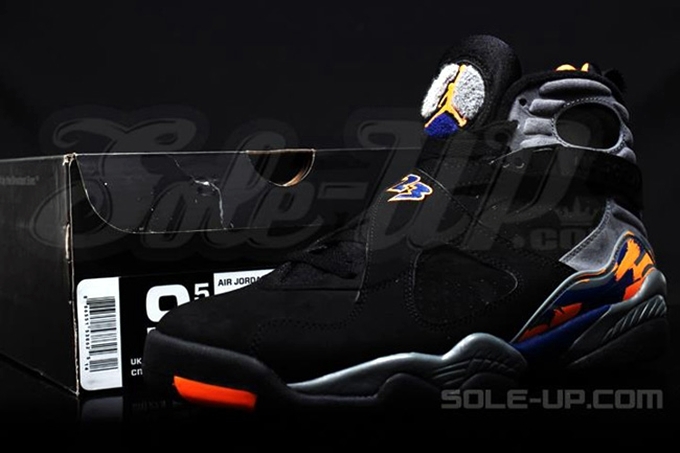 More images of the alleged Air Jordan 8 Retro “Phoenix Suns” hit the web recently and several sources confirmed that those are images of the official kick that will hit the market soon. Michael Jordan wore this shoe during his third champions, which was against Charles Barkley and the Phoenix Suns. No official words from Jordan Brand, but JordansOut will keep you updated!